ELECTRIC CHOKE THERMOSTAT - CARTER BBD 2 Barrel Carburetors in 1980-1991 AMC JEEP CJ 4.2L 258"
The Edelbrock 9907 Remanufactured Performer Series 750 CFM manual choke carburetor is a precisely tuned, quality-built carburetor that can handle the rigors of daily driving while delivering consistent, reliable street performance from day to day. Several characteristics make the 9907 Remanufactured Performer Series 750 CFM manual choke carburetor an outstanding street performer. The first one is that metering rods are utilized to transition between circuits. The carburetor is unaffected by engine backfires, which means that there are no power valves to blow out, and the rods can be changed in seconds without carburetor removal or fuel draining. Secondly, the carburetor has the unique ability to hold a tune, so once it is tuned, the carburetor stay's tuned. What this means to you is that compared to other carburetors, the performance remains consistent and the calibration stays unchanged. The lightweight all-aluminum body features a two-piece body that resists warping and is compatible with gasohol and blended fuels. The simple tub-type bowls and rear-pivot floats all contribute to a carburetor thats reliable, user-friendly and is easily tunable for miles and miles of trouble-free operation. (CALIBRATED FOR PERFORMANCE) Designed and calibrated for optimum street performance in small-block and big-block engines with Performer RPM, RPM Air-Gap and Torker II manifolds and with Performer manifolds on large cubic-inch engines. Includes both timed and full vacuum ports for ignition advance. Electric choke #1478 can be added if needed. Comes with: Metering Jets - Primary .113, Secondary .107; Metering Rods - .071 x .047; Step-Up Spring - orange (5 Hg). Use Carb Studs #8008 or #8024 if needed. The Edelbrock Choke Cap Kit is designed to rebuild the Electric Choke Cap. 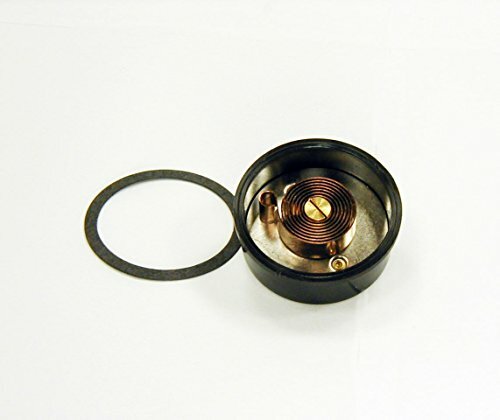 The kit includes a choke cap, a gasket for the cap, three screws and three locking tabs. Electric Choke Thermostat - MerCarb 2BBL 2 Barrel Electric Choke. For Mercury Marine Boat: MCM 120, MCM 140 ; MCM 165 MCM 175; MCM 185; MCM 200, MEM 888 w/302" 4.9L 8 cyl. ; MCM 898 w/305" 5.0L; MCM / MIE 198 200 898 w/305" 5.0L 350" 5.7L 8 cyl. ; MCM / MIE 485 w/351" 5.8L 8 cyl. ; MIE 5.7L W/350MAG; Engine size: Mercruiser 153" 2.5L, 181" 3.0L 4 Cyl. ; 229" 3.7L, 4 & 6 cyl; 262" 4.3L 6 Cyl. ; MEM 888 w/302" 4.9L 8 cyl.305" 5.0L, 350" 5.7L, 8 Cyl. Engine. Carb Type: MerCarb, Rochester 2GE 2 Jet 2 BBL with Electric Choke Thermostat. Brand new quality part. Shipping & Handling - We ship via USPS, UPS and FedEx Monday through Saturday. Your order is usually shipped out the same day (except Saturdays) if the payment is cleared before 2pm PT, or it will be shipped out next business day. The Edelbrock Performer 600 CFM Vacuum Secondary Electric Choke Remanufactured Carburetors are completely disassembled, inspected and thoroughly cleaned before reassembly for maximum fuel economy. Any parts that fail the strict performance standards are replaced with new ones. They are backed by a 30 day manufactory guaranty and 100% warranty. Works with 1980 - 1991 AMC JEEP Engine size: 4.2L 258", V6 Transmission: ALL Carb Model: BBD Carb Type: Carter 2 BBL with Electric Choke Carb OEM: Carter 8284, 8304, 8308, 8309, 8312, 8335, 8336, 8337, 8338, 8339, 8340, 8341, 8349, 8351, 8355, 8357, 8360, 8362, 8363, 8364, 8367, 8383, 8384, 8392, 8394 Brand new quality part, gasket included. Shipping & Handling - We ship via USPS, UPS and FedEx Monday through Saturday. Your order is usually shipped out the same day (except Saturdays) if the payment is cleared before 2pm PT, or it will be shipped out next business day. 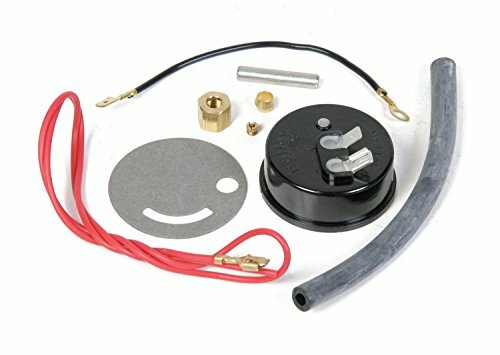 The Holley electric choke conversion kit comes with an external vacuum source for top performance. This kit can be used to convert Holley carburetors which originally came equipped with manually-operated choke or automatic/electric operated choke. Electric Choke Thermostat - Carburetor Holley 4180 4 Barrel Application: 1979 - 1990 Ford Pick-Up Truck Engine size: 351" 5.8L, 460" 7.5L Transmission: ALL Carb Model: Holley 4180 Carb Type: Holley 4 BBL with Electric Choke Thermostat Interchange Part Number: E3PE-9848N, CM4093A Brand new quality part. Shipping & Handling - We ship via USPS, UPS and FedEx Monday through Saturday. Your order is usually shipped out the same day (except Saturdays) if the payment is cleared before 2pm PT, or it will be shipped out next business day. Brand new high quality part. Gasket included. 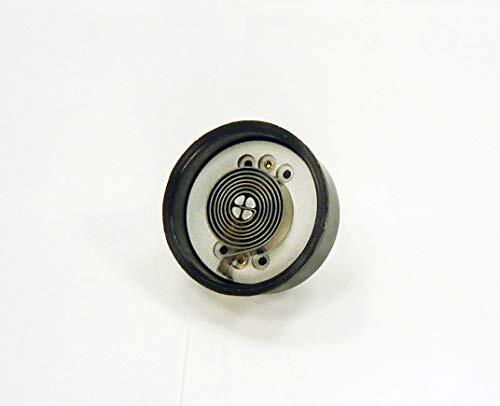 Electric Choke Thermostat - Carburetor Ford 4 Barrel Application: 1966 - 1978 Ford Products 1974 - 1978 Ford Pick-Up Truck 1970 - 1978 Lincoln 1966 - 1978 Mercury Engine Size: 460" 7.5L Carb Model: Ford 4300, 4350 Carb Type: Ford 4 BBL with Electric Choke Thermostat Interchange Part Number: D5VZ- 9848C, CM2152 Brand new quality part. Shipping & Handling - We ship via USPS, UPS and FedEx Monday through Saturday. Your order is usually shipped out the same day (except Saturdays) if the payment is cleared before 2pm PT, or it will be shipped out next business day. Brand new high quality part, gasket included. 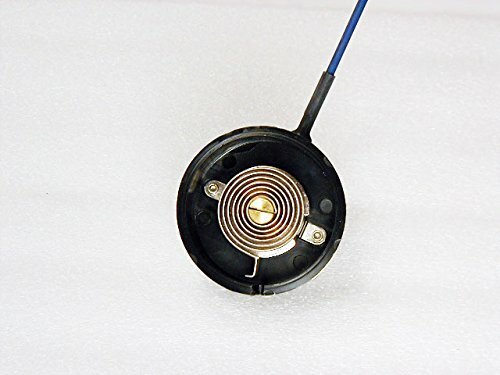 Electric Choke Thermostat - Carburetor Hitachi 2 Barrel Application: 1980 - 1986 Nissan / Datsun Pickup Truck Engine size: PL720 1952cc, L20B, Z20 2.0L, Z22 2.2L, Z24 2.4L, 4 Cylinder Replacement of Part number 16389-07W00 Carb Type: Hitachi 2 BBL Carb Model: DCR340, DCR-342, DFP-384 Carb OEM#: DCH340-111, DCH340-112 , DCH340-113, DCH340-114, DCH340-115, DCH340-116, DCH340-117, DCH340-118, DCH340-119, DCH340-120, DCR342-7, 8, 11A, 13A, 14, 17, 17A, 24A, DCR384-1, 2, 3, 4, 11, 11A, 21, 21A, DFP384-1, DFP384-1A, DFP384-2, DFP384-2A, DFP384-3, DFP384-3A, DFP384-4, DFP384-4A, DFP384-5, DFP384-5A, DFP384-6, DFP384-6A, DFP384-11, DFP384-11A, DFP384-12, DFP384-13, DFP384-21 and more. Brand new quality part. Shipping & Handling - We ship via USPS, UPS and FedEx Monday through Saturday. Your order is usually shipped out the same day (except Saturdays) if the payment is cleared before 2pm PT, or it will be shipped out next business day. Fit Model: Honda Helix CN250 Honda Elite CH250 Joyner Sand Viper 250cc 250 series such as SZ250DL Hammerhead 250 GT/GTS/SS series Hamerhad Twister 250 Carter Brother Interceptor GTR250 Roketa MC-13-250 VIN-Prefix BALI/LJ4/L8Y Roketa MC-54-250 VIN Prefix LJ4/L8Y Roketa MC-62-250 VIN Prefix L4S Roketa MC-68A-250 VIN Prefix LJ4 CFmoto 250 V3/V5 Fashion Baja Reaction BR250 Baja Dune DN250 other water cooled 250 carburetor package Included: electric choke GOOFIT keychain About Quality: We can only guarantee the high quality of products which sold by GOOFIT. And we accept Return of Goods without Reasons About After-sales service: First of all, we sincerely apologize to you for returning exchange or refund caused by any reason. Please be assured, no matter what the problem. Please contact us first, we will do our best to solve any problem for you. We attach great importance to every customer. Your satisfaction will be our greatest impetus. About GOOFIT: GOOFIT was established in 2000. 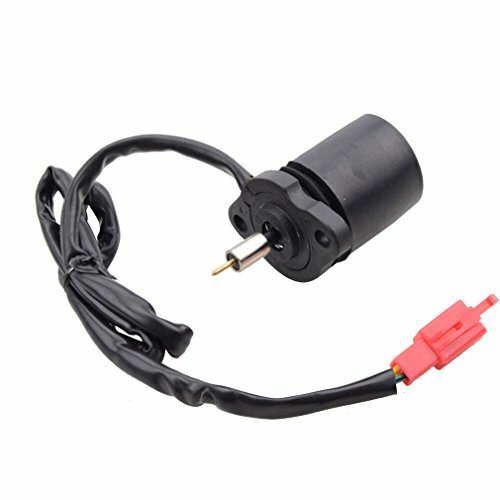 We are a leading website selling, ATVs parts, Go Karts parts, Dirt Bikes parts pocket bike parts, Moped scooter parts online. Company Culture: We are committed to providing the best products and services for our customers. 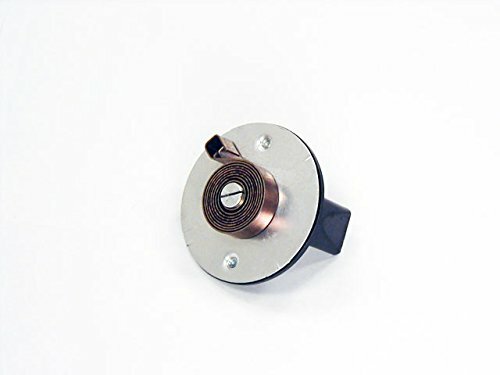 The electric choke thermostat works with 1981 - 1990 Buick, Cadillac, Chevy, Oldsmobile, Pontiac 1981 - 1986 GMC truck 1985 - 1987 Chrysler, Dodge, Plymouth - Engine size: 5.0L 5.2L 5.7L, 305" 307" 318" 350", V8; 3.8L 4.3L, 229" 231" 262", V6, - Carb Model: E4ME, E2ME Carb Type: Rochester 4 BBL Quadrajet, 2 BBL Dualjet. 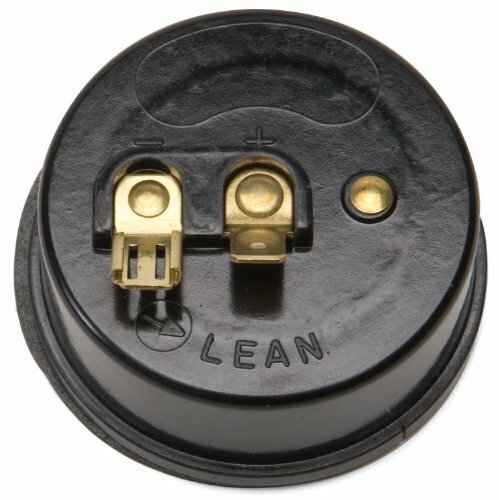 Brand new high quality part! 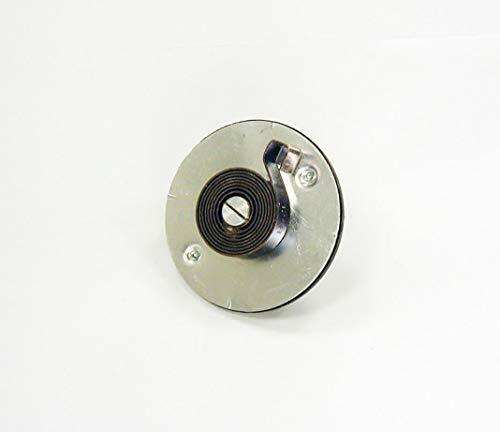 This 17 inch high performance, standard rotation flex fan features 6 red anodized aluminum blades and a polished and chrome plated hub and is rated for engine speeds up to 8,000 rpm. Popular with hot rodders and muscle car owners, a perfect solution for applications where space is at a premium. Electric Choke Thermostat - Carburetor Edelbrock 4 Barrel Application: Carb Model: Edelbrock 4 Barrel Carb Type: Edelbrock 4 BBL with Electric Choke Thermostat Interchange Part Number: E 1406, 1309. Brand new quality part. Shipping & Handling - We ship via USPS, UPS and FedEx Monday through Saturday. Your order is usually shipped out the same day (except Saturdays) if the payment is cleared before 2pm PT, or it will be shipped out next business day. 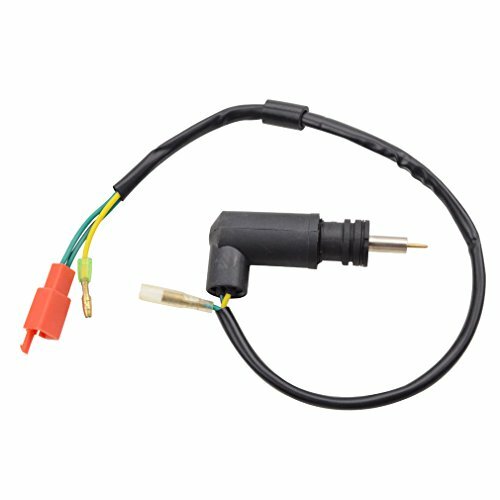 The Holley electric choke conversion kit can be used to convert Holley carburetors which originally came equipped with a hot air source. 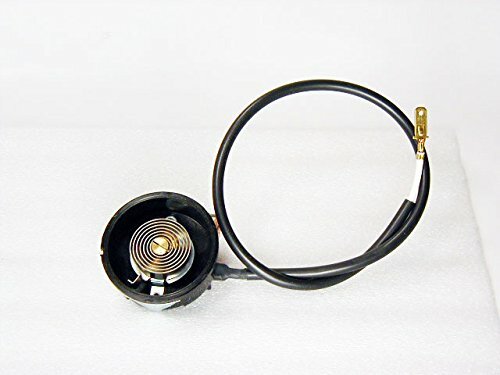 Electric Choke Thermostat - Carburetor Aisan 2 Barrel Application: 1980 - 1990 Toyota Hilux Pickup Truck Engine size: 22R 2.4L, 4 Cylinder Replacement of Part number: 21015-35210 35310 35390 Carb Type: Aisan 2 BBL Carb OEM#: 35010 35110 35210 35240 35310 35390 35410 35430 35440 Brand new quality part. Shipping & Handling - We ship via USPS, UPS and FedEx Monday through Saturday. Your order is usually shipped out the same day (except Saturdays) if the payment is cleared before 2pm PT, or it will be shipped out next business day. 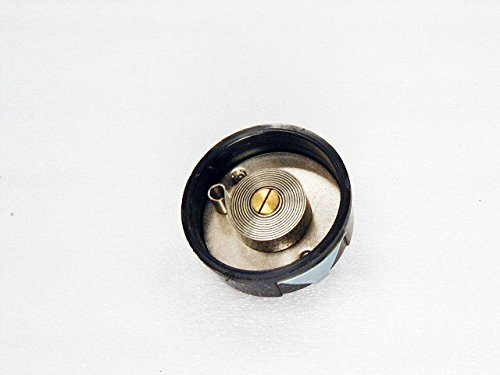 ELECTRIC CHOKE THERMOSTAT - Holley 2 BBL 2300, 4 Barrel 4150 4160 Carburetors in Ford Marine 302"
Works with Ford Marine Engine size: 5.0L 302", V8 Carb Type: Holley 2 BBL, 2300, 2300C, 2300EG, 2380EG; Holley 4 BBL 3160, 4150, 4150G, 4150EG, 4160. Fits Carburetors with OEM#: LIST 6150, 6317, 7036, 9022; D1FF-9510-LA, D1JJ-9510-B, D3JL-9510-S. Brand new quality part, gasket included. Shipping & Handling - We ship via USPS, UPS and FedEx Monday through Saturday. Your order is usually shipped out the same day (except Saturdays) if the payment is cleared before 2pm PT, or it will be shipped out next business day.